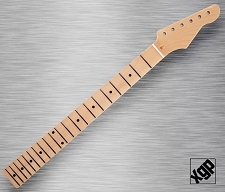 This neck fits all of our XGP Strat bodies and should fit ALL standard vintage spec Strat Style bodies including genuine Fender bodies. 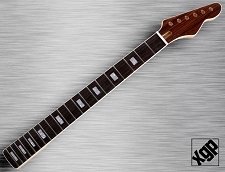 This is vintage spec 21 fret,12" radius, beautiful "aged" vintage amber gloss finish and standard 2 3/16" wide neck heel. 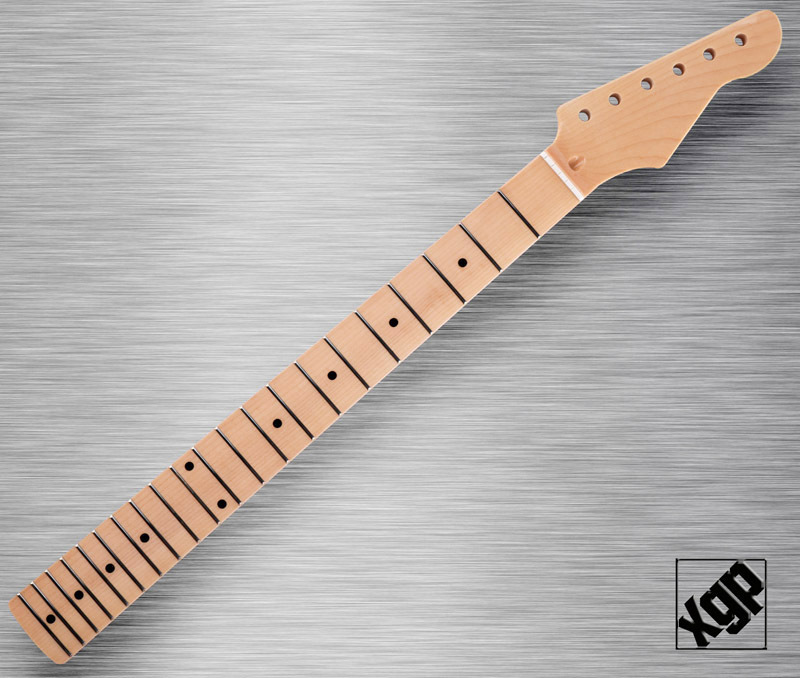 The bi-flex stainless steel truss rod is accessible at the neck, and the headstock is cut for all 8mm tuners, but may very easily be opened up for 9mm or 10mm tuner machines if you wish. 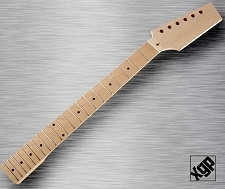 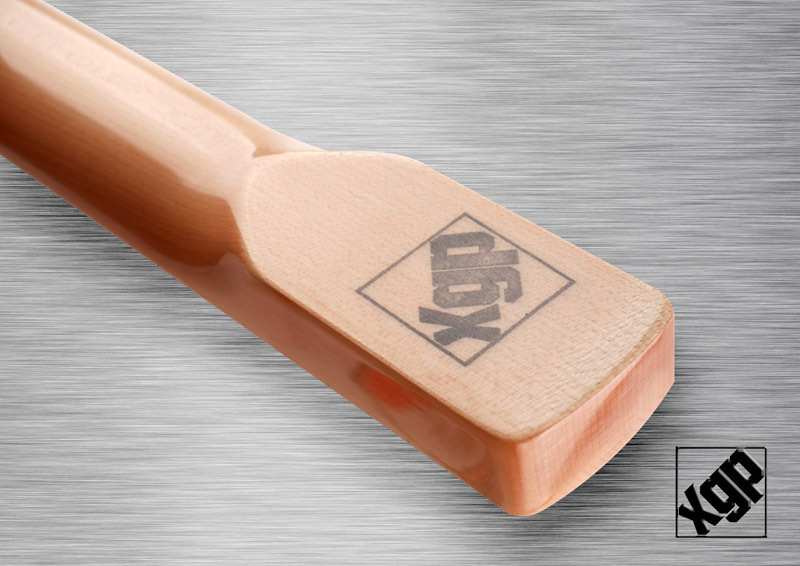 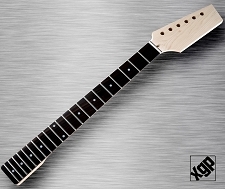 This is a premium quality neck with a pre slotted low friction polycarbonate nut. 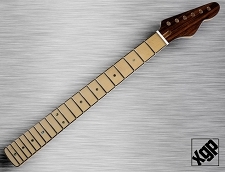 NOTE: These necks are not as dark as depicted in the photo. 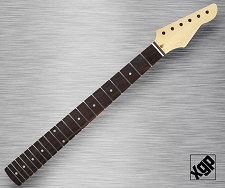 We will update the photo shortly.